How should I place my carpet in the living and dining rooms? Should I have all my furniture on it or outside of it? The wrong-sized rug can make a room look cluttered, too small or unbalanced. Determine the reason for the carpet: Is it to unify the look of a room by bringing together multiple pieces of furniture or to define space in a large room? Your furniture configuration, not just the room size, will also determine the carpet size. Ms Sotiria Kostavara, senior branding consultant at one-stop lifestyle store HomesToLife, says traditionally, all furniture should sit on the carpet. But today’s smaller homes call for alternative approaches. For example, having only the front legs of a piece of furniture on the carpet. Balance is important, so leave an equal amount of uncovered floor around the furniture grouping. You can also put all furniture off the carpet. In this case, the coffee table sits on the carpet, but the rest of the furniture is around the edges. 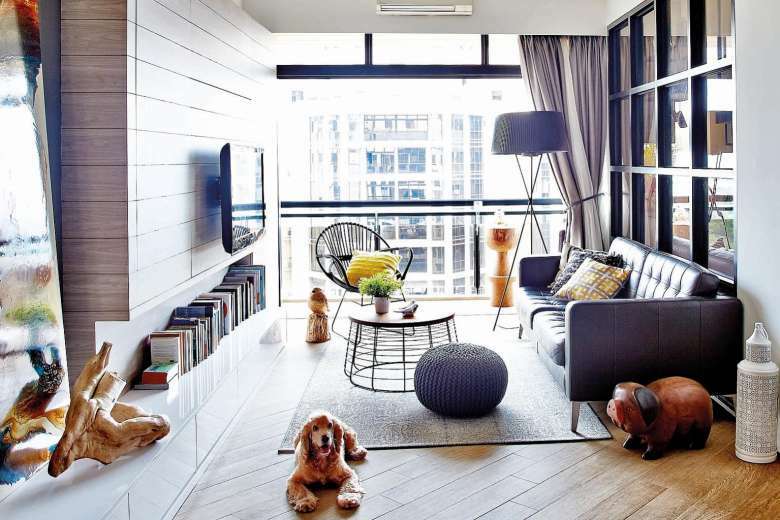 This creates a cosier space by drawing the furniture grouping inwards. Select a carpet that is the same length or a little longer than the sofa so the carpet looks proportionate to the room. There should be no stinting in the dining room – you need a carpet large enough so the chairs are on it, even when they are pulled out. This typically means the carpet needs to be 120cm wider than the table for guests to pull their chairs all the way out without catching the edge of the rug. I am renovating my kitchen and would like to know the pros and cons of the different hobs: induction, gas and ceramic. Induction hobs heat up twice as fast as ceramic or radiant heat hobs, and offer greater precision in temperature control. Gas hobs offer instant heat and are the only ones that can impart wok hei (or smokiness) in Asian dishes. But there are other factors to consider when buying a hob, says Mr Kelvin Leong, a trainer at BSH Home Appliances, which distributes Bosch and Gaggenau appliances in Singapore. Induction hobs are the clear winner in energy efficiency as they transfer heat directly to the pan and food, unlike gas and ceramic hobs. They are a much safer option, especially for families with young children, as the hob surface is safe to touch. Gas hobs are cheaper to run than electricity-powered induction and ceramic hobs, and are more environmentally friendly as they have less carbon emission. Induction is the priciest of the three. The flat surfaces of ceramic and induction hobs are easy to wipe clean, while gas hobs have pot stands and gas rings that need to be disassembled for cleaning. “Induction hobs work only with ferromagnetic (stainless steel or cast- iron) cookware. So if you already havealuminium, Pyrex, glass, copper and non-magnetised stainless-steel cookware, induction hobs might not be suitable,” says Mr Leong.